Meet the cabinetry experts of Blanchards Woodworking Ltd! 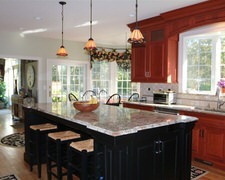 We provide Newfoundland and Labrador with quality custom kitchens and bathroom cabinets. Cabinet Designs provides excellent service and high quality cabinetry to clients in Newfoundland and Labrador.